Safety recalls issued prior to 1994 are not included in this look-up tool. Recall information provided herein only applies to vehicles retailed in Canada. 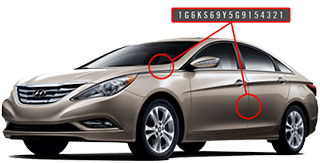 Please note that no Vehicle Identification Numbers include the following letters: "O", "I" or "Q". Please allow some time after your recall repair has been completed for the data specific to your vehicle to be updated.